A study published in the New England Journal of Medicine (NEJM) on April 26, 2015 states that the incidence of Neonatal Abstinence Syndrome (NAS) in the USA is on the rise. Neonatal Abstinence Syndrome (NAS) is defined as a set of problems occurring in a newborn exposed to addictive opiate drugs during gestation. When a pregnant woman takes opioid drugs such as heroin, codeine, oxycodone, etc., the drugs pass through the placenta and enter the fetus, thereby making the fetus addicted to the drug/s as well. In other words, NAS is the term used for drug-withdrawal symptoms in a newborn. 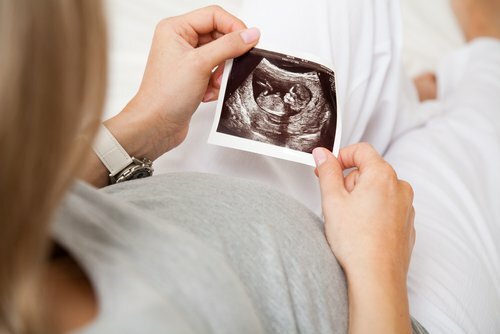 Newborns with NAS have symptoms like irritability, poor sucking reflex, highly tense muscles, inability to control some functions that the body does naturally/automatically (For example, digestion, blood pressure control etc. ), weight gain issues, etc. Of the 674,845 infants admitted to NICUs, 10, 327 were identified with NAS. This number increased from 0.7% to 2.7% in the years studied. The average NICU stay increased from 13 days to 19 days. Some centers reported that as much as 20% of NICU admissions were for NAS. Infants were treated with morphine in a majority of cases. With the backdrop of increased deaths associated with use of narcotic painkillers and substantial hospitalization charges for the NICU (one estimate puts the cost at $40,000 per infant), combined with lack of data on the long-term effects of gestational opioid exposure on the brain, overuse of prescription painkillers is a problem that needs to be dealt with in an expeditious manner. Tolia, V., Patrick, S., Bennett, M., Murthy, K., Sousa, J., Smith, B., . . . Spitzer, A. (2015). Increasing Incidence of the Neonatal Abstinence Syndrome in U.S. Neonatal ICUs. New England Journal of Medicine.